Easter celebrations begin the Sunday before Easter, known as Palm Sunday. This year, Palm Sunday is 9 April. Celebrate with a special mass in Saint Peter’s Square at 9:30 am. Mass is free, but you’ll need to get a ticket ahead of time. Expect standing room only and massive crowds. In Italy, where palm fronds aren’t easily found, olive branches are blessed and given out instead. Here the Pope will hold another mass at 9:30 am. This will likely draw smaller crowds than Sunday’s morning mass. At another mass, usually in St. Peter’s but not always, the Pope washes the feet of multiple priests to represent Christ’s washing the Apostles feet during the Last Supper. On Good Friday there is an afternoon service held in St. Peter’s Basilica to sing, pray and kiss the cross before receiving the Eucharist. There’s also the intriguing “Way of the Cross” procession, or Via Crucis. Starting from the Colosseum, the Pope and dozens of bishops, priests and other servers guide the public in a candlelit procession up the Palatine Hill, stopping along the way at each “station” to recall Christ’s journey to the cross. This is a fun and absolutely unique event even for secular tourists, who might enjoy the history of the event: the Colosseum has served as the start-point for Rome’s Stations of the Cross since the 18th century. Saturday Mass is held in the late evening throughout Rome as a sort-of vigil for Christ’s coming on Sunday. Here adults converting to Catholicism are baptized and received into the church. The big day is here and the city is awash in celebrations! Morning mass is celebrated in St. Peter’s Square at 10:15 am, but you’d do best to arrive much, much earlier to gain a spot. This year Easter Sunday is on April 16. Banks, public offices and many shops and restaurants will be closed on various days throughout the Easter holiday week. Expect closings throughout the city on Easter Sunday and Easter Monday. Known as Pasquetta, the day after Easter is a national holiday. Many Italians take advantage of the day off work to enjoy the nice spring weather with a picnic or cookout with friends. As the Italian saying goes, “Natale con i tuoi, Pasqua con chi vuoi”, that is, Christmas with your family, Easter with your friends”. 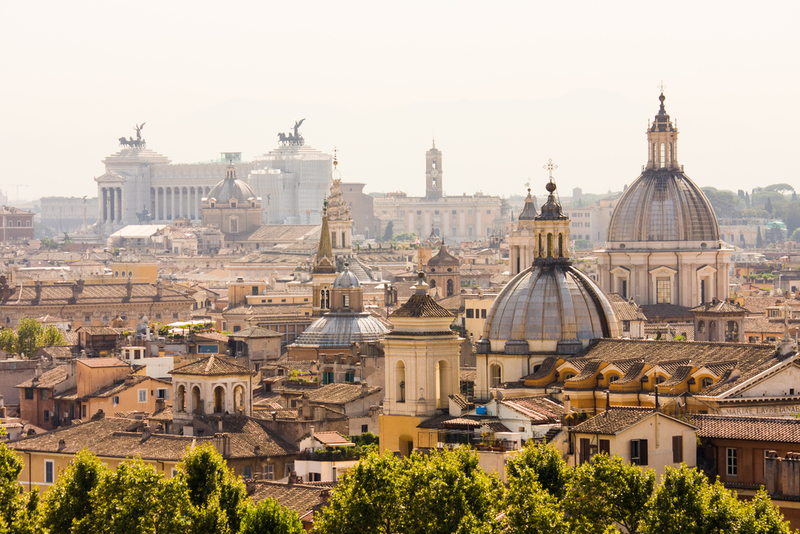 Plan your visits in advance by checking online for specific closings and be sure to book a restaurant for both Easter Sunday and Monday in Rome well in advance, or else you might not get a table! Though there are some closings to navigate, there’s nothing like participating in the festive holiday atmosphere. Now you can stay online in Italy and save up to 95% on data roaming charges with 1GB smart data package. TravelSim has free incoming calls and sms in Italy. In case you don´t have a TravelSim sim card, it can be purchased here. Author: Gina Musso. Gina Mussio is an American living in Monza, Italy where she teaches in an elementary school and writes about travel, culture and food in Italy. Read more of her writing at her personal website, From Italy, With Love.